Are you looking for the best Android keyboard app 2013? Are you currently eager to switch out the default keyboard for an alternative to enhance your typing experience? I bet most of you will answer: Yes. Nowadays, nearly everyone owns an Android phone or an Android tablet, and Android users are accustomed to do typing with their mobile devices. Of course, there are hundreds of Android keyboard apps in the market, and if you just want to find the best keyboard app, you are properly in the right place as here in this post I’m going to share the Android keyboard apps for your Android phones or Android tablets. Hope you’ll love all the Android keyboard apps I’m going to list out here. Without a doubt, SwiftKey is one of the most popular keyboard app for Android. It is the only true multi-lingual keyboard which can type in up to three languages at a time. The keyboard app gives you the accurate autocorrect and can predict your next word before you press a key based on the way that you write. Typing with SwiftKey often feels like someone is plucking the next word right out of your brain. It is now the best app in 38 countries in the world and there is a free version of SwiftKey Keyboard available. There are also different versions of SwiftKey Keyboard like SwiftKey Keyboard Free, SwiftKey Tablet Free and SwiftKey Tablet Keyboard. SlideIT keyboard is an excellent typing apps for Android. It doesn’t boast the ultra-polished appearance of the other apps, but don’t start thinking it’s a slouch. In fact, it is very user-friendly, awesome outlook and it dramatically improves your writing speed for texting in your smartphone. One of its attractive features is Finger sliding typing where you need not to tap on keyboard letters, just sliding a finger along the keyboard letters and the expected word magically appear on the screen. 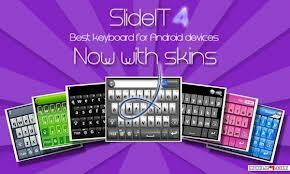 There are also a lot of keyboard skins that are available and you can download skins from the Android market. If you’re no fan of traditional texting, these slide-to-type apps can be a true communication revelation. This is widely considered the granddaddy of all alternative Android keyboards. Different from other keyboard app, Swype simply traces those letters along the keyboard and fills in the words for you rather than tapping out letters. So, it is no doubt a much faster input method than traditional typing, especially with one hand. It also includes some awesome features such as living language which is gathered and updated with the latest global trending words, Smart Editor which will examine your sentence and suggest you the word, backup and sync personal dictionaries across multiple mobile devices and more. 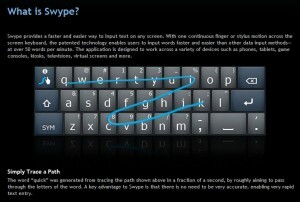 If you are used to typing using one hand, Swype can be your best option for keyboard. And it is free for Android phones and tablets. 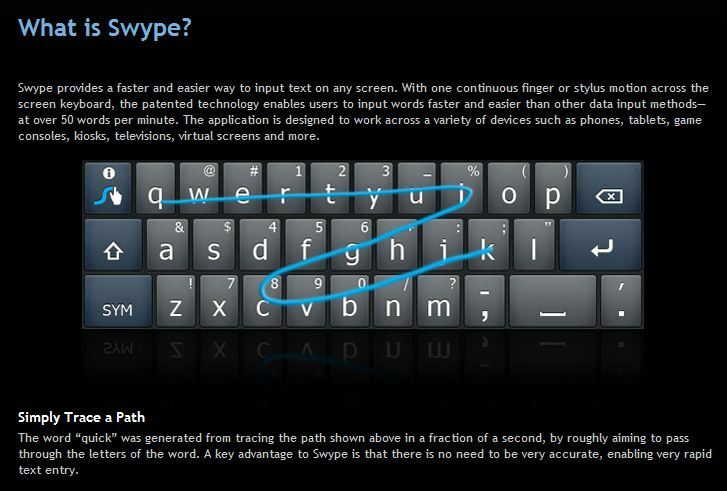 Like Swype, TouchPal incorporates a swipe-based interface on top of the standard keyboard. When you swipe, a nice sparkly trail animation will appear which very cool. It is widely used as an Android Keyboard app for its mind-blowing features. Contextual prediction, perfect combination of sliding input, beautiful interface, awesome customization for multiple skins and multiple layer, ease of typing – all make it different and attractive Android Keyboard tools in the world. 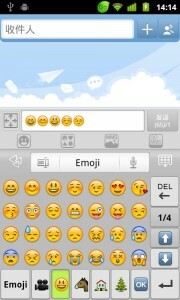 Also, it supports Multilanguage and voice input and other nice features. If you don’t care much about accuracy and are a bilingual user, TouchPal is just a very good choice. GO Keyboard is the best Android keyboard app 2013 and this most popular keyboard app on Android. If you just want everything customized a specific way, GO Keyboard has you covered. 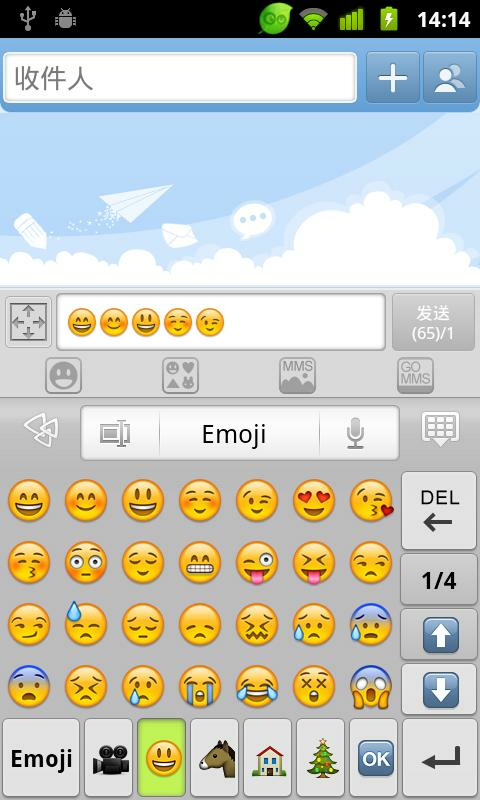 GO Keyboard is a free app for Android which offers the theme support, emoji and everything else you want to personalize you’re typing. GO keyboard can make your typing faster and smarter as you like to see. It is surely be your first choice for all your Android phones and specifically for 5″, 7″, 9″/10″ tablet tablets. Above mentioned 5 android keyboard apps will greatly enhance your typing experience and improve your productivity on Android, just try out the above and find the most suitable one for you. Don’t forget to share which one of the best Android keyboard apps you like the most. And if you have other alternatives, you can also share these apps with us below!